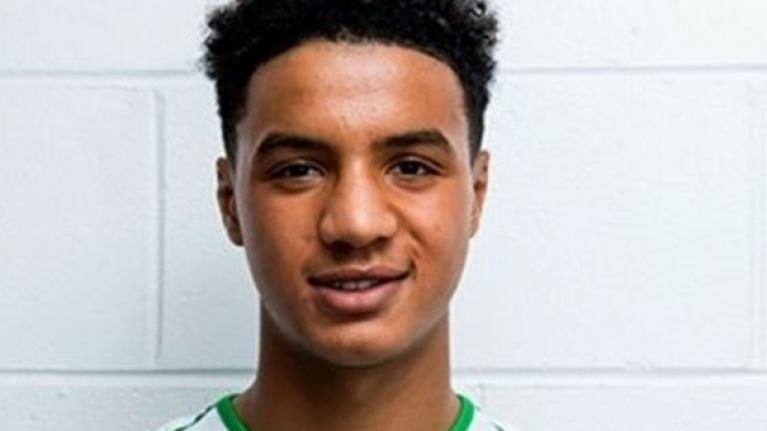 Former Republic of Ireland underage international Armstrong Okoflex has been drafted into Brendan Rodgers Celtic squad for the Hoops' trip to Kilmarnock on Sunday. The Dublin born teenager joined the club on a three-year deal from Arsenal last year after previously coming through the underage ranks at St. Kevin's Boys. The current England underage international said that he had hoped to make his Celtic senior debut before he turned 17 and he could achieve that feat with a month to spare should he play on Sunday. "My personal target it to make my debut before I turn 17," Okoflex told Celtic's website last September. "I had a meeting with Brendan Rodgers and he was very convincing. He's a great manager with all the success he's had at previous clubs and at Celtic - and he was one of the big factors in coming here. "The manager told me about Raheem Sterling, how he was a young teenager at Liverpool and then he brought him up in pre-season and, because he was doing well and better than the older wingers at the club, he played him in the league games. "It shows he'll play young players and that's encouraging for me."